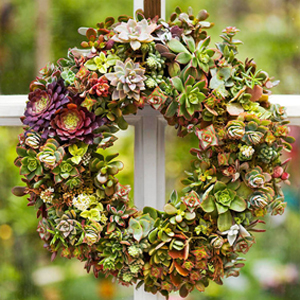 Succulents, also known as fat plants or hen and chicks, are hardy, long lasting flowers and, are hands down, one of my absolute favorite flowers! 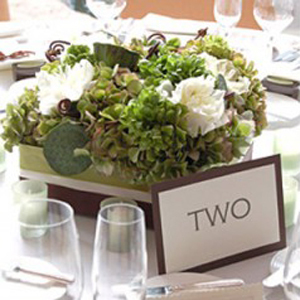 I am loving that Brides are now incorporating these fun, eco friendly blooms into their bouquets and arrangements. 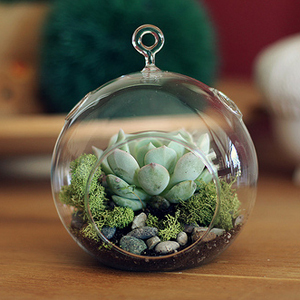 Perfect for DIY Brides, succulents are almost impossible to kill. They have an extremely long vase life and need very little care. 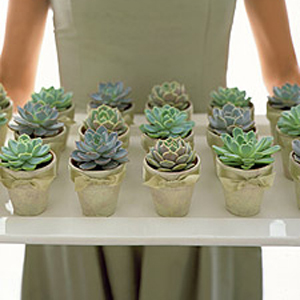 Our succulents come as fresh cut flowers, not as potted plants, but you can re-pot them! I took one home from a show in January, stuck it in a large pot I already had a few other small plants in, and it is still alive and doing well! Aren’t those awesome ideas! 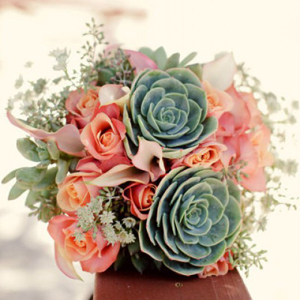 And succulents can fit just about any theme, from romantic to modern, rustic to beachy, and they are great for green and eco-friendly weddings. 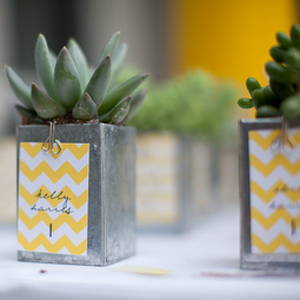 I love the idea of using them as place-cards or centerpieces and then giving them away as favors at the end of the night. At FiftyFlowers you can choose from 11 different types of succulents, from deep burgundy to a frosty green, as well as a variety pack which includes an assortment of different colors and textures. With the awesome selection of colors, textures, and sizes available and all of the fun ways to use them, how could you not love succulents!?! To see our full selection, click here, or head to FiftyFlowers to browse through all of our beautiful, fresh-cut, wholesale flowers! April’s Best Selling Flowers are 10% OFF!